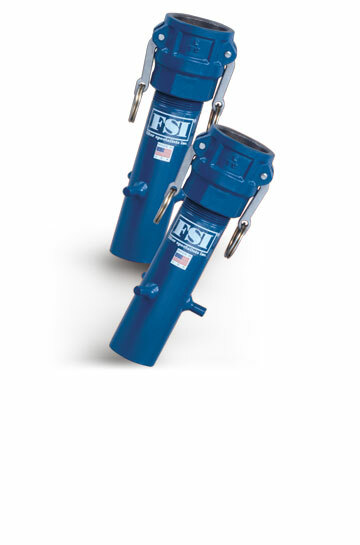 For filling lines, FSI offers the answer for the final filtration stage with the FMC-22, a light weight, easily maneuvered, quick-disconnect filter. It's a bag filter, positive gasket seal, restrainer basket, coupling and directional nozzle in one self-contained vessel. The unit even features built-in stops to limit insertion depth into closed head drums. FSI offers this final stage drum filter in Stainless Steel or Carbon Steel, for applications ranging from chemicals, paints, inks, solvents and resins, to oil, petrochemicals and more viscous products as well.